Your Legal Rights under theories of Harm. (c) the different ways in which your motor insurance claim can be handled. 2. Following an accident, you are required by law to report the accident to your insurer. 3. Your insurer and the insurer(s) of the other driver(s) involved in the accident will investigate the accident circumstances and determine who is responsible for the accident. 4. If an accident is found to be your fault, your entitlements are determined by the terms and conditions of your motor insurance policy. For further information, please refer to your motor insurance policy, the Frequently Asked Questions attached with your policy documentation and/or contact your insurer. 5. If an accident is found not to be your fault, you are entitled under law to be put back into the position you would have been in had the accident not occurred. A non-fault claim can be made against the insurer(s) of the other driver(s), who is (are) responsible for paying the costs of this claim, provided that those costs are reasonable. (i) You can choose to have your vehicle repaired by a repairer of your choice or by a repairer appointed by the company handling your claim. (ii) You can require that replacement parts made by the original manufacturer are used in the repair. (iii) If your vehicle is deemed to be a write-off or total loss, you will be entitled to the value of your vehicle before the accident. This is the cost of purchasing an equivalent vehicle of a similar age and condition at the time of the accident and is usually based on published price guides. (i) While you are without your vehicle, you are entitled to a replacement vehicle that is similar to your vehicle (ie similar in size, type, number of doors and engine capacity) if you can demonstrate that you need such a vehicle. (ii) You may be provided with a replacement vehicle on credit terms (and you might be held liable for the costs of the hire should you ultimately be considered at fault for the accident) or you may be provided with a replacement vehicle by your insurer or by the other driver’s insurer. (c) Personal injury damages (eg for pain, suffering and loss of amenity, and the costs of care). (d) Other losses (eg recovery of any excess you have paid, loss of earnings, vehicle recovery and storage and the use of public transport). Depending on the terms of your motor insurance policy, your insurer may or may not assist you with recovering these losses. 7. There may be circumstances where responsibility for an accident is not determined for some time (referred to as undetermined liability) or liability is shared between you and the other driver(s) (referred to as split liability). rights are as set out above depending on whether you are found to be at fault or not at fault. 9. Where liability is split, you will be entitled to recover from the insurer(s) of the other driver(s) a proportion of the value of your claim, but you will be required to claim under your motor insurance policy for the remaining proportion of the claim. 10. If the accident is found to be your fault, any claim you make against your policy will usually be handled by your own insurer. (a) By your own insurer: your insurer will handle your claim and recover the costs of the claim from the insurer(s) of the other driver(s). Your insurer may choose to refer you to another supplier for the provision of some services. (b) By the insurer(s) of the other driver(s): the insurer(s) of the other driver(s) may contact you following an accident and offer to handle your claim, which you can choose to accept if you wish. 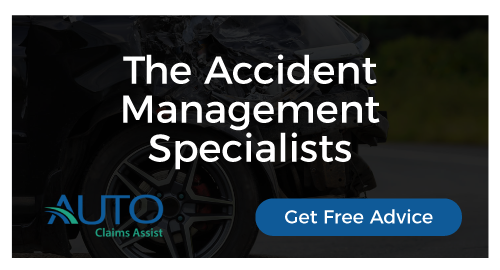 (c) By a claims management company: you, your insurer or the insurer(s) of the other driver(s) may choose for your claim to be handled by a claims management company. 12. Your legal entitlements are the same under all of these options. 1. [To be read out only if FNOL is not performed by the non-fault insurer] You are required by law to report the accident to your insurer. 2. If an accident is found not to be your fault, you are entitled under law to be put back into the position you would have been in had the accident not occurred. (d) other losses (eg recovery of any excess you have paid, loss of earnings, vehicle recovery and storage and the use of public transport). 4. A non-fault claim can be made against the insurer(s) of the other driver(s), who is (are) responsible for paying the costs, provided that those costs are reasonable. 5. If the accident is found not to be your fault, you can pursue the claim yourself, but claims are typically handled by (i) your own insurer, (ii) the insurer(s) of the other driver(s), or (iii) a claims management company. We are [your own insurer/the other driver’s insurer/a claims management company]. 6. Your legal entitlements are the same whoever handles the claim. 7. You were sent a statement of rights with your policy documentation. Would you like to be sent a reminder of this statement by email?